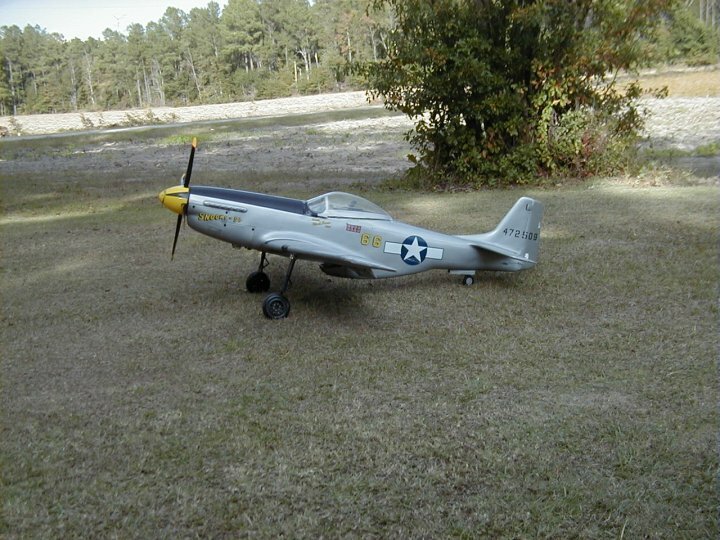 Is anyone getting the idea that I may be just a little hung up on the P-51 Mustang? 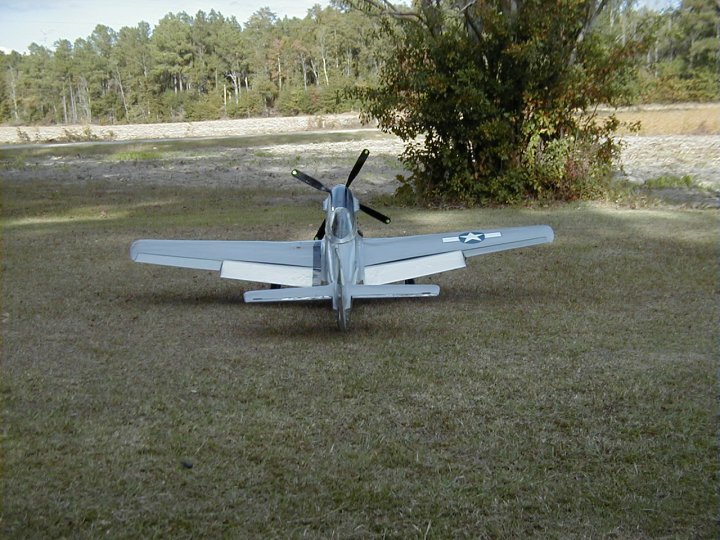 Well just in case not, here is yet another Byron P-51 Mustang that calls my hangar home. 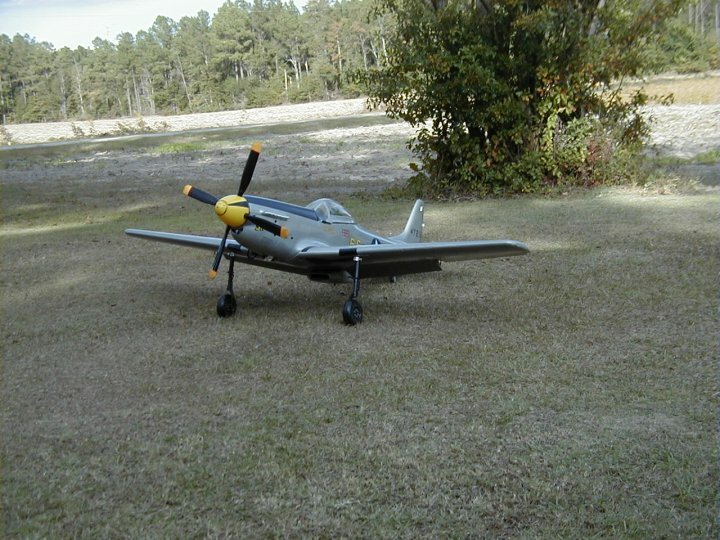 This one is also the older one piece wing model with a reduction drive installed. 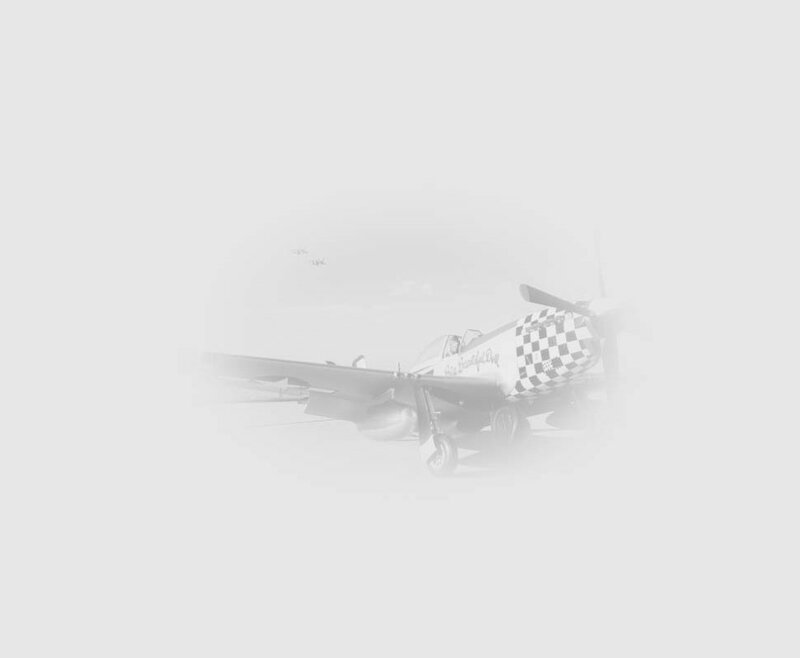 Built with fixed gear, I plane to eventually change that. 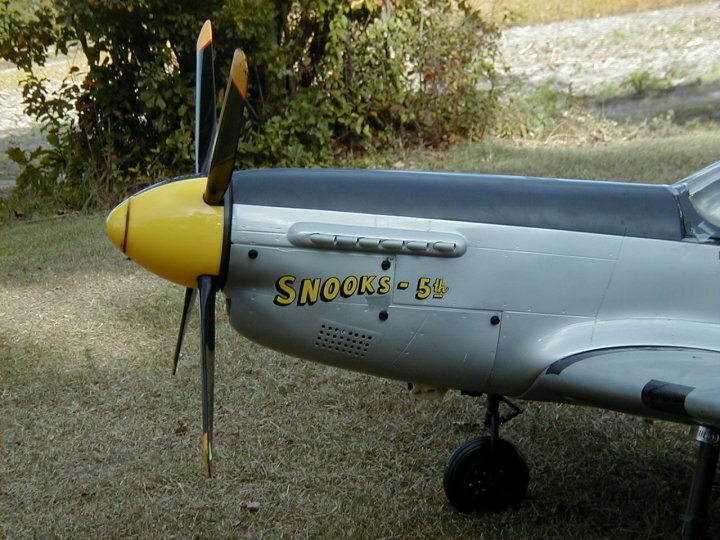 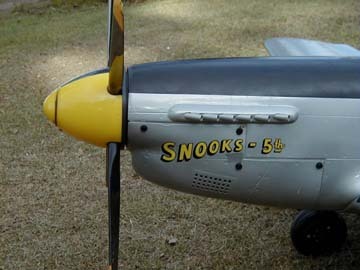 Done in the Snooks 5th scheme, the rest is pretty standard with flaps and one really big plane. 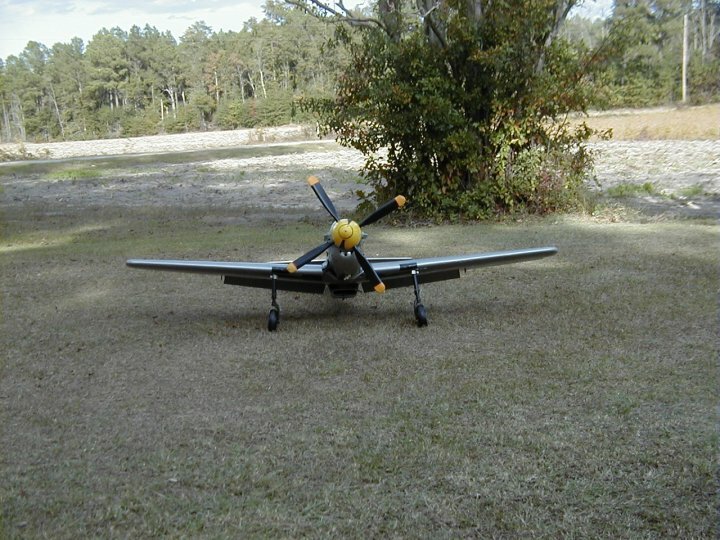 It will take it's place one day along beside the others in a formation flyby.